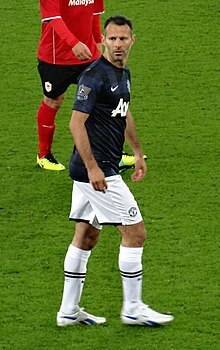 Giggs played against his hometown club, Cardiff City, for the first time in November 2013. ↑ "11. Ryan Giggs - Quote, Unquote". ManUtd.com. Manchester United. Archived from the original on 1 May 2013. Retrieved 8 August 2014.